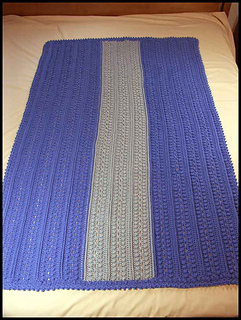 Finished size: 44” wide x 64” long. 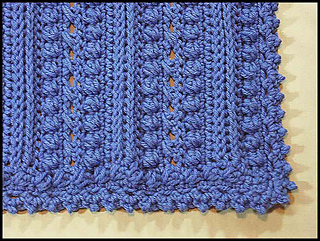 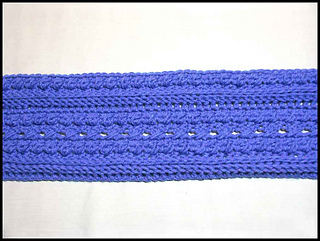 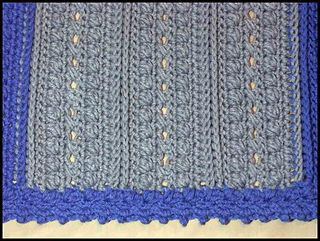 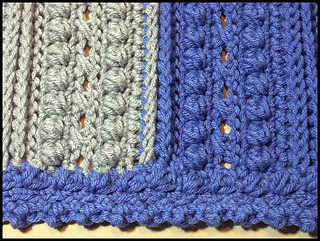 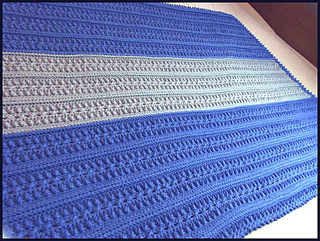 113 rows (11 panels; 8 blue + 3 gray) + 5 Edging Rounds. 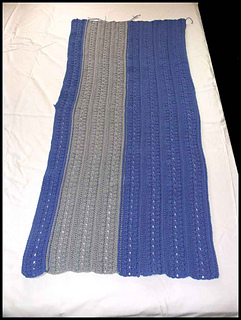 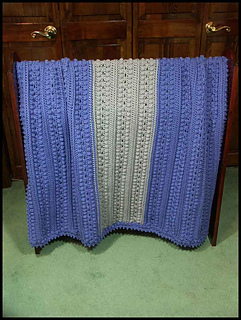 This is a very heavy afghan, weighing 50 oz (3 pounds, 2 ounces)!